There's a beauty in the simplicity of jewellery; it can have a very special meaning and be a strong symbol of self-expression. Choosing the right jewellery is as much about style as it is quality. Making the right choice is essential for picking jewellery that will last for decades. If you're as enamoured by diamonds as much as we are, this is all you need to know about diamond jewellery. What is the difference between diamonds, cultured diamonds, and simulated diamonds? Mined diamonds are diamonds that have formed naturally as opposed to those that have been created artificially. There is a lot of controversy surrounding the diamond trade: the effects of diamond production is devastating and has worldwide repercussions affecting both human- and animal-rights making the sourcing of ethical diamonds difficult and uncertain. Cultured diamonds are created through an artificial process also referred to as “synthetic diamonds,” “created diamonds,” or “lab-grown diamonds.” These diamonds are man-made consisting of carbon atoms arranged in the characteristic diamond crystal structure. They are almost impossible to differentiate from diamonds but are only slightly more affordable than their naturally-minded counterparts. Simulated diamonds share the physical characteristics of diamonds but are composed of very different materials and are therefore much more affordable. Cubic zirconia, a crystal form of zirconium oxide, and moissanite, composed of the crystal carbide, are both durable and low in cost. Simulated diamonds are the most affordable and ethical alternative to both mined and lab-grown diamonds. Are simulated diamonds a good choice for jewellery? Mined diamonds tend to have visible flaws such as black spots and blemishes so purchasing one with excellent clarity comes with a large price tag. Sourcing conflict-free and ethically sourced diamonds is difficult and uncertain. Cultured diamonds, however, have fewer flaws because the process used to create them is designed to minimise any imperfections. Despite being lab-grown and manufactured, both mined and cultured diamonds are expensive to purchased. 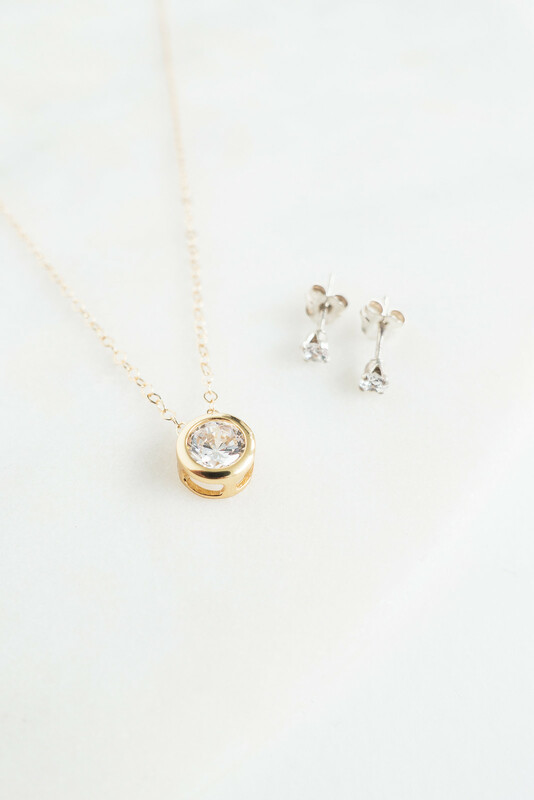 Simulated diamonds are both an ethical and affordable choice for jewellery. The cubic zirconia we use to create our solitaire diamond range is optically flawless, extremely durable, and visually identical diamonds making them shine just as bright without the price tag. The stones we use are created with a high level of clarity to replicate mined and cultured diamonds in both style and quality but at a much more affordable price. What is the difference between Cubic Zirconia and a diamond? Simulated diamonds are not as hard as mined or lab-grown diamonds but all three type require extra special care to prevent knocks, scratches, and scuffs. Cubic zirconia is completely colourless and doesn’t have any inclusions like those present in an untreated mined diamond, making cubic zirconia visually flawless. Cubic zirconia is polished to make the stones last longer and look like “real diamonds”, and although a jeweller could tell the difference you wouldn’t be able to. 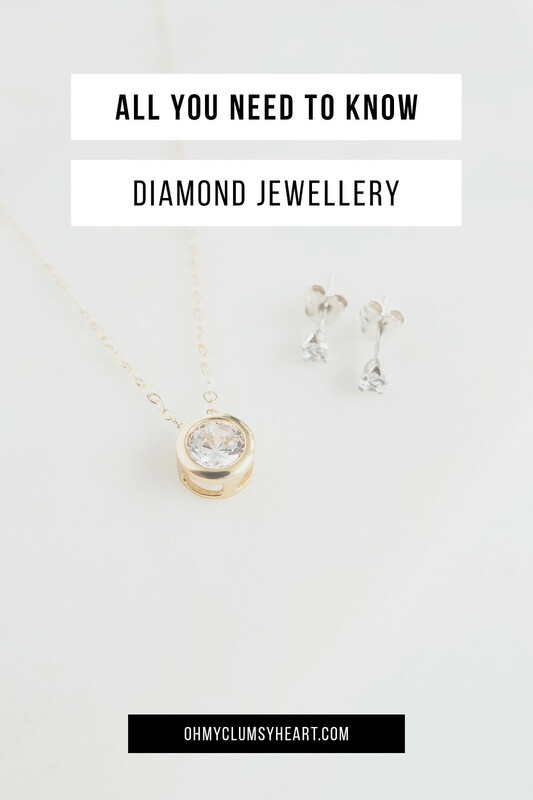 Is cubic zirconia appropriate for bridal jewellery? Whether it’s your engagement ring, wedding band, or accompanying bridal jewellery, cubic zirconia is an ideal choice. 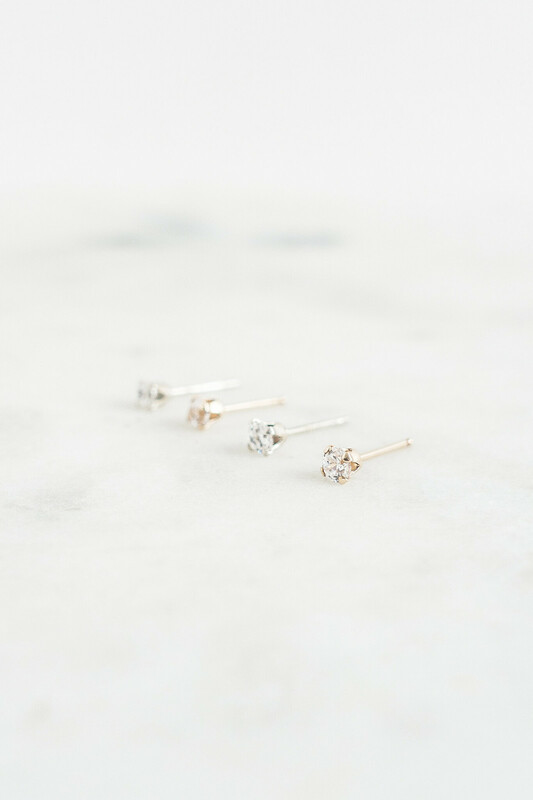 These stones look beautiful when set into necklaces or earrings; they’re durable and just as visually pleasing as other diamonds, and they’re much much more affordable. What shape gives the best sparkle? Symmetrically cut round diamonds reflect nearly all the light that enters them making it the best cut for maximum sparkle. Cubic zirconia has a higher dispersion quality and will sparkle and reflect light more than a mined or lab-grown diamond. How do I store diamond jewellery? It’s best to keep your diamond jewellery in its original box inside a polyethylene or mylar ziplock bag, and keep them separate from other gemstones. This will protect your jewellery from harsh chemicals, humid environments, and extreme sunlight as well as preventing scuffs and scratches. How do I clean diamond jewellery? Diamonds can be tricky to keep clean; they attract dirt and grease, and require a little extra care to maintain their shine. All types of diamonds require a little extra TLC than other jewellery. Every time you remove your diamond jewellery, wipe it with a gentle cleaning cloth paying special attention to the back of the setting where natural oils can come into contact with the stone and metal setting. Depending on how often you wear your diamond jewellery, gentle wash it once or twice a week. Create a cleaning solution from mild dish soap and lukewarm water. A soft, clean toothbrush can be used to reach any tricky places to clean like the back of the diamond, which tends to attract the most oil and dirt. Make sure you dry your jewellery completely after cleaning. How long will diamond jewellery last? Diamonds are as tough as they are stunning. Take good care of your diamond jewellery and it can last forever. Clean it regularly, store it properly, and you’ll be cherishing your diamonds for a lifetime.